The Elkay WNSF8136LOF1 Single Bowl Stainless Steel Scullery Sink is created to elevate the consumers' convenience in using Elkay sinks. Its smooth surface corresponds with any color. This solid stainless steel will give you a lifetime service responding to your proper care and maintenance. 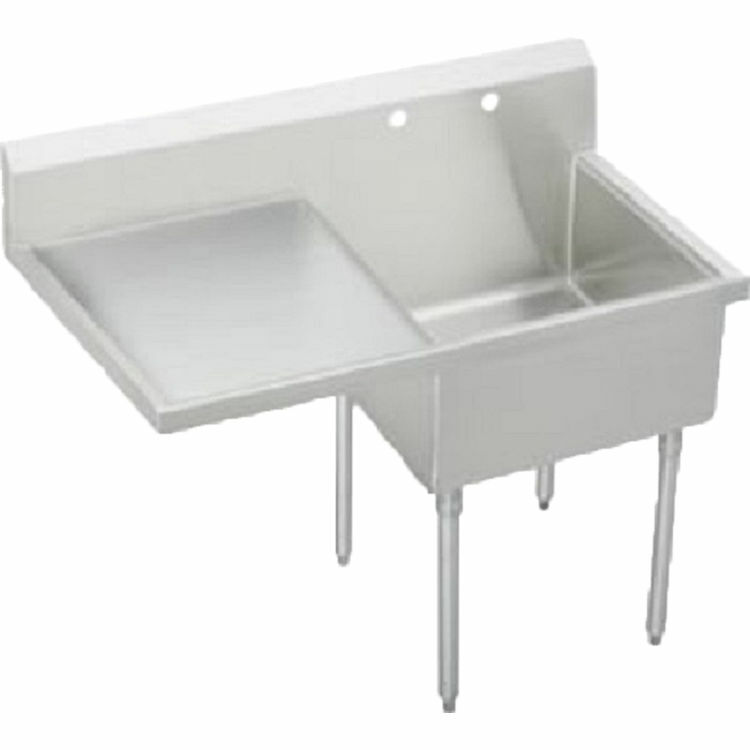 This Elkay WNSF8136LOF1 Single Bowl Stainless Steel Scullery Sink has a welded coved corner construction. These welds are ground to a smooth and cleanable finish. 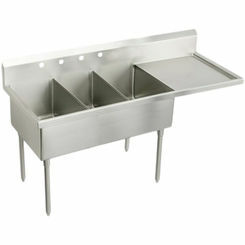 It also comes with an optional detachable drainboard which is designed to resist heavy duty requirements of users. 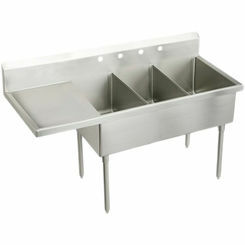 The Elkay WNSF8136LOF1 Single Bowl Stainless Steel Scullery Sink contains compartments which are pitched to drains. It also features a backsplash sloped top and inward sloping top channel rims to minimize, moreover, prevent spillage. It has an adjustable bullet shaped feet for the convenience of the worker. These weldbilt sinks carry the NSF International Certification. Elkay sinks will give a great function and value for your homes. They offer a lot of varieties which corresponds to the necessity of the customers. Elkay leads in making stainless steels for a lot of reasons. Aside from unique designs and features, their sinks are produced with the highest quality. Shipping Dimensions 64.0" x 28.5" x 29.5"
Welded inch radius coved corner construction. Welds are grounded to a smooth and cleanable finish. Full length 8-inch high backsplash with 45 sloped top. 1-1/2 inches wide inward sloping top channel rims. The sink compartments have an integral drainboard that is pitched to drain. This sink is supported on the LK251, (4) stainless steel, 1-5/8 inch O.D. tubular legs with #16 gauge wall thickness and has adjustable bullet shaped feet. The Weldbilt sink carries the NSF International Certification.